Dealing with a car accident can be a stressful experience for even the most sturdy at heart. However, knowing what to do in advance of a car accident can make it a lot easier to deal with often unforeseen car accidents. Be sure to remain at the accident scene so you can gather information. Be sure that you are in a safe place when doing so, and away from roads with fast moving vehicular traffic if at all possible. The next step would be to exchange information with all parties involved in the car accident. This could mean witnesses, other drivers, or people in other affect/involved vehicles. Another important thing to do is to not admit fault, and do not provide details about insurance coverage amounts, limits, or any other information other than your carrier’s name and your police number. Generally, the information on the insurance card should suffice. If possible, get photos of the damages to all property and other vehicles as well as the accident scene. Road conditions, tire skid marks, roadway junk and debris, and the location of the vehicles should also be recorded or photographed. Obtaining interpretable images of license plates and insurance cards is also a plus. 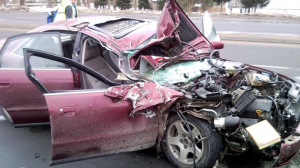 Note the names, phone numbers, addresses and e-mail addresses of all people involved in the car accidents as well as the number of people in the other vehicles involving. Also get the names, phone numbers, addresses and e-mail addresses of all potential witnesses of the car accident. This will come in handy in the event that you are put in a situation in which you will need to hire a Texas personal injury lawyer to ensure that your rights are protected and that you are fairly compensated for your claim. In fact, contacting a lawyer for auto accidents in Houston should be one of the first steps you take if you involved in an automobile accident. Also take detailed notes of the location of the accident including intersections, addresses, and the small details like the exit number. Get the other party’s insurance company name, insurance policy number and phone number. If emergency services respond like the police department, get the police report number, phone number, officer name, badge number, ambulance company, fire department, and add that information to your notes from the accident. After you have all the details, the next step would be to contact your lawyer and report the incident to your insurance provider. Afterwards, your Houston personal injury lawyer will advise you on further steps to take to get the best possible results from the outcome of the car accident.